Madhya Pradesh is famous for its rich culture, festivals, forts, cuisine, UNESCO Sites, National Parks and Tiger Reserves. Madhya Pradesh has a rich variety of flora and fauna and there are six Tiger Reserves in the state. According to the last tiger census 2014 the total population of Royal Bengal Tigers in Madhya Pradesh is 308. 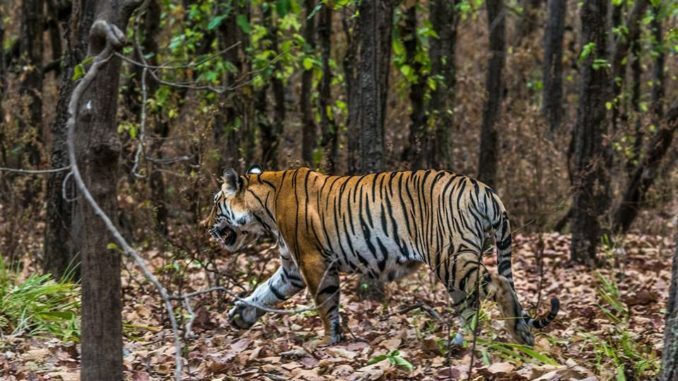 If you are planning to visit Madhya Pradesh to see wildlife, here are some of the top tiger reserves of Madhya Pradesh to visit. 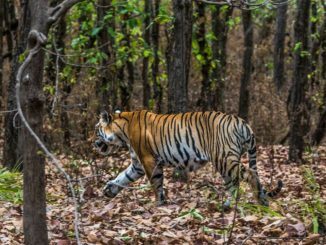 Kanha Tiger Reserve is one of the best reserves of Madhya Pradesh situated in the heart of the India in Mandla and Balaghat region. 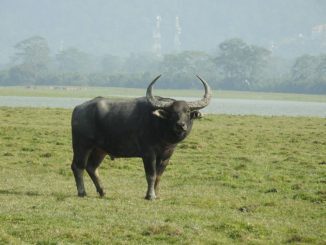 The area is divided into two sections, Hallon Wildlife Sanctuary and Banjar Wildlife Sanctuary, covering a total area of about 250 Sq. Km. and 300 Sq. Km. There are about 80 tigers that inhabit the region with other big cat like Indian Leopard. It is also home to four-horned antelope, reptiles, several species of birds and other land mammals. About 1000 species of flowering plant are available in the reserve and the area consists of tropical, moist and deciduous type forests. 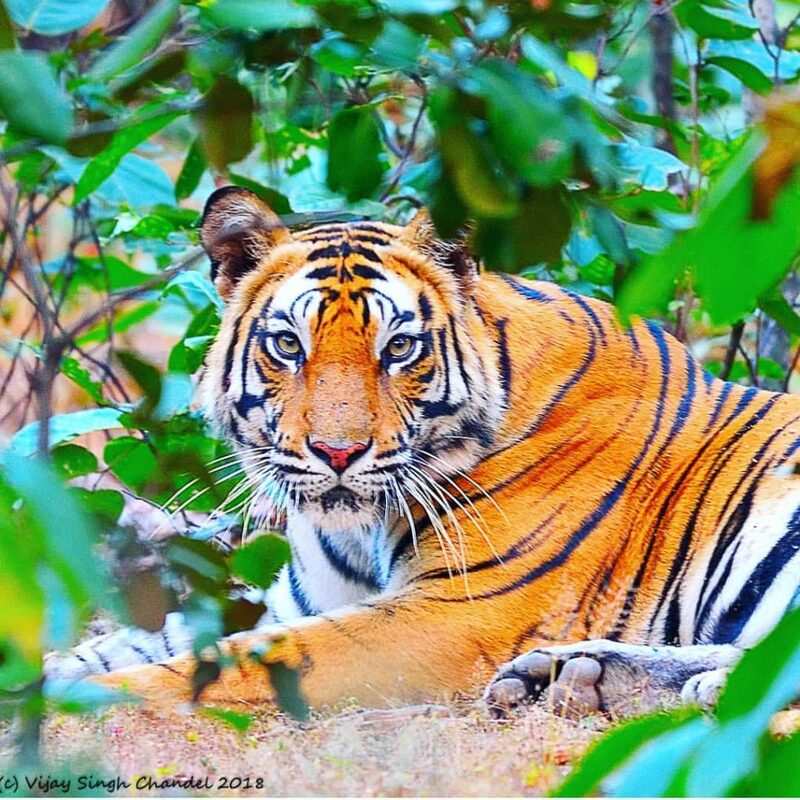 Onc can reach Kanha Tiger Reserve from Mandla, which is 30 Km or from Balaghat which is 80 Km from the Tiger Reserve. Khatiya, Mukki, Sarhi, Ghurri Barrier are the entry gates from where the Tiger Safari begins. 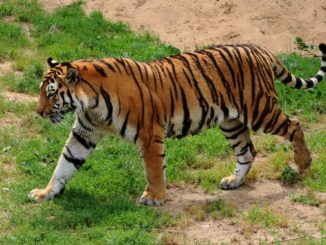 Pench Tiger Reserve is one of the famous tiger reserves in Madhya Pradesh, It is located in the Seoni region of Madhya Pradesh. It is basically spread across two states – Madhya Pradesh and Maharashtra. Pench was declared as Tiger Reserve in 1992 under Project Tiger. The core area of the reserve is 411.33 Sq. Km. and buffer area is of 768.3 Sq. Km. 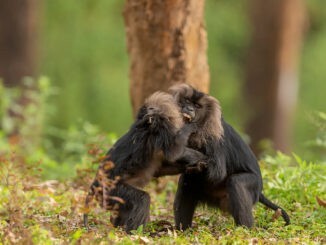 The reserve consists of Pench Sanctuary (1977) and Pench National Park (1983). 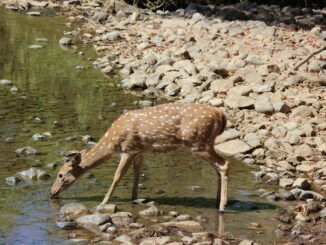 Pench National Park has both tropical moist and dry deciduous forests. 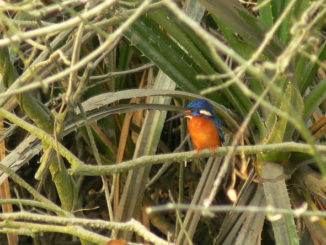 The park is a home for several endemic species of flora. 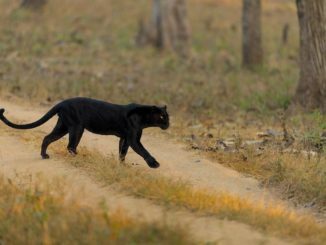 Panthera Tigers, Indian Civet, leopard, Striped Hyena with several species of birds and many other wildlife creatures inhabits the reserve. There are two gates from Madhya Pradesh side Turia and Karmajhiri, from which Turia gate is mostly used. 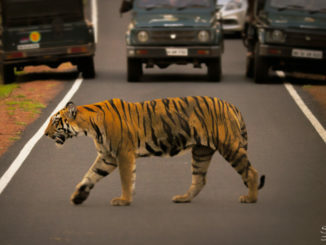 Seoni is the nearest city from Pench Tiger Reserve, whereas, Chhindwara, Jabalpur and Nagpur have good connections with major cities. 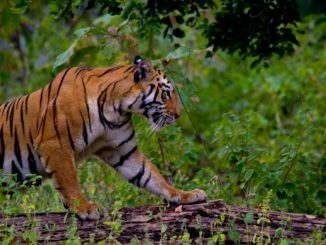 Bandhavgarh is a well known national park in India for it’s highest density of Royal Bengal Tiger anywhere else in the world. Situated in the Umaria district of Madhya Pradesh, the park was declared as a Tiger Reserve in the year 1968 and covers the total area of 448 Sq. Km. 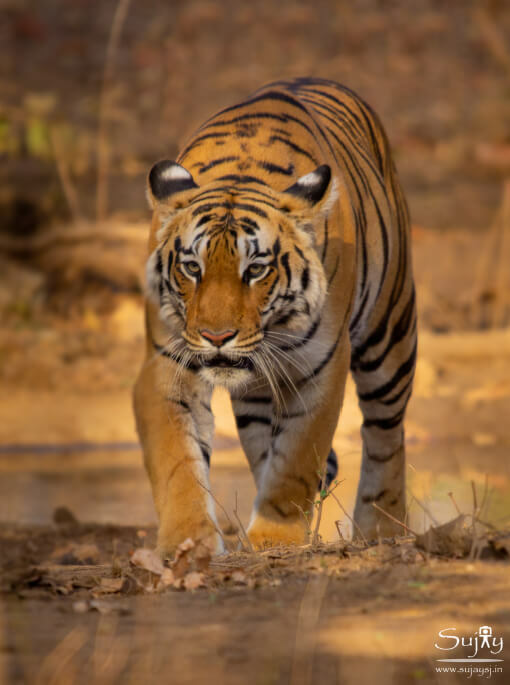 Royal Bengal Tiger is the major attraction of Bandhavgarh Tiger Reserve, along with Tigers one can spot several other mammals, reptiles and birds as well. 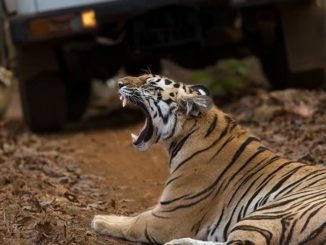 Tala Zone, Magadhi Zone, and Khitauli Zone are the three main zone of the Bandhavgarh Tiger Reserve, from where one can hire vehicle for Bandhavgarh Tiger Safari. Jabalpur is the nearest city from where one can easily reach to the Bandhavgarh National Park and Tiger Reserve. 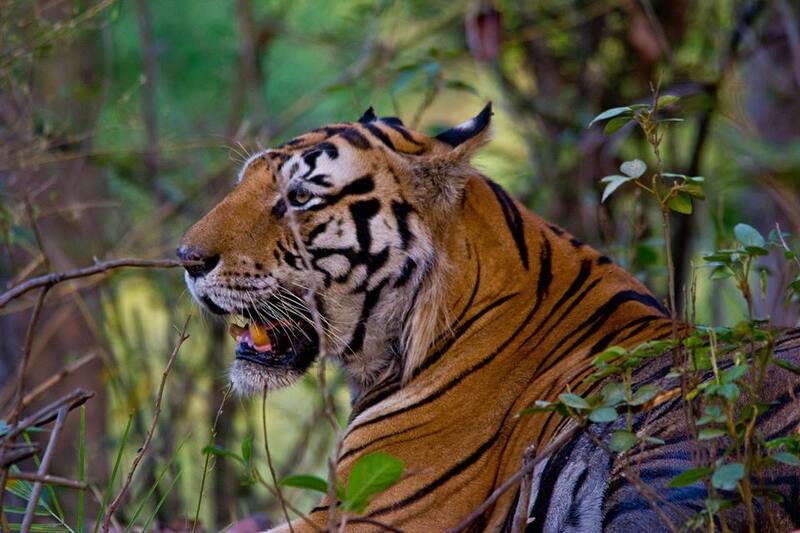 Bandhavgarh Tiger Reserve is considered to be the best tiger reserve of Madhya Pradesh. Sanjay Dubri Tiger Reserve is one of the less explored Tiger Reserves in Madhya Pradesh, situated in the Siddhi of Madhya Pradesh. 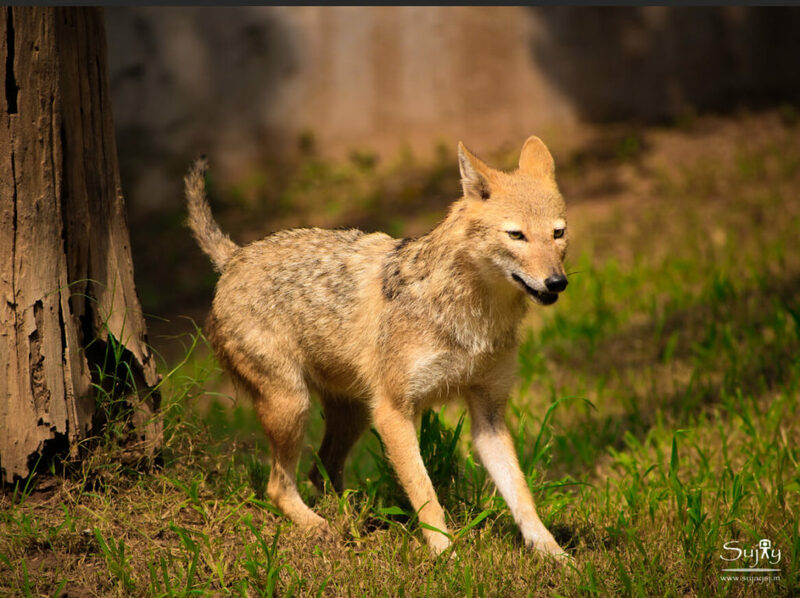 The reserve includes the Sanjay National Park and the Sanjay Dubri Wildlife Sanctuary, together posses total area of about 831 Sq. Km. The park was declared as the national park in the year 1981 and came under Project Tiger in the year 2008 as Sanjay Dubri Tiger Reserve. 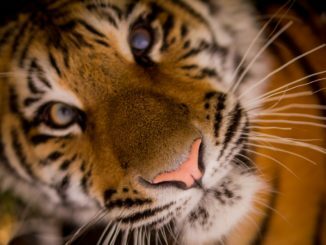 The reserve is a home to Bengal Tigers, Indian Leopard, Civet, Nilgai and more than 150 species of Mammals, Birds, and many species of reptiles and fishes. Sanjay Dubri reserve also has a high density of Sal and Bamboo forest and experience tropical climate in the region. The Reserve has Five entry gates named as Badkol, Karwahi, Koilari, Kalipahari and Kushmi, from where the Tiger Safari begins, to explore the wildlife of the reserve.